Fewer than 38,000 Realtors nationwide -- less than 4% -- have earned the Certified Residential Specialist (CRS) Designation, awarded by the Council of Residential Specialists. Realtors who receive the CRS Designation have completed a rigorous course of advanced training, and have demonstrated professional expertise in the field of residential real estate by meeting significant experience requirements. 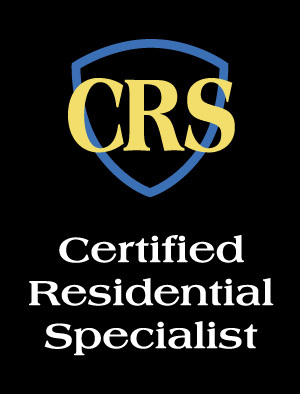 CRS Designees subscribe to the strict Realtor code of ethics, have access to the latest technology, and are specialists in helping clients maximize profits and minimize cost when buying or selling a home. I am proud to have earned the CRS Designation, and look forward to serving you, your friends and colleagues with this advanced training and the tremendous resources the CRS community makes available.